With the support of the IZUMI Foundation, Lifebox is aiming to strengthen surgical capacity across our partner countries by building a cadre of Surgical Safety Trainers. Through a series of regional and national training workshops, we’re developing two new modules to improve the safety of surgery and anaesthesia: Checklist Strategies and Instrument Sterilisation and Maintenance. We know that the Surgical Safety Checklist is proven to reduce complications and mortality by nearly 40% when used appropriately. And whilst it is a simple tool – a 19- step list of basic safety checks – hospitals and surgical teams all over the world struggle to use it correctly and maintain enthusiasm over time. Our new training module will focus on the main issues surgical teams encounter when using the Checklist and some of the best strategies for overcoming these barriers. An online assessment on Checklist use can be completed here (Spanish or English). The Checklist requires confirmation of instrument sterility prior to starting surgery. Without sterile instruments it is highly difficult to perform a sterile procedure and yet sterilisation remains unconsidered and unsupported in many LMICs. In partnership with SPECT, our new module on Instrument Sterilisation and Maintenance will aim to tackle surgical site infection rates by improving decontamination and sterilisation practices. An online assessment tool on sterile processing can be completed in Spanish or English. 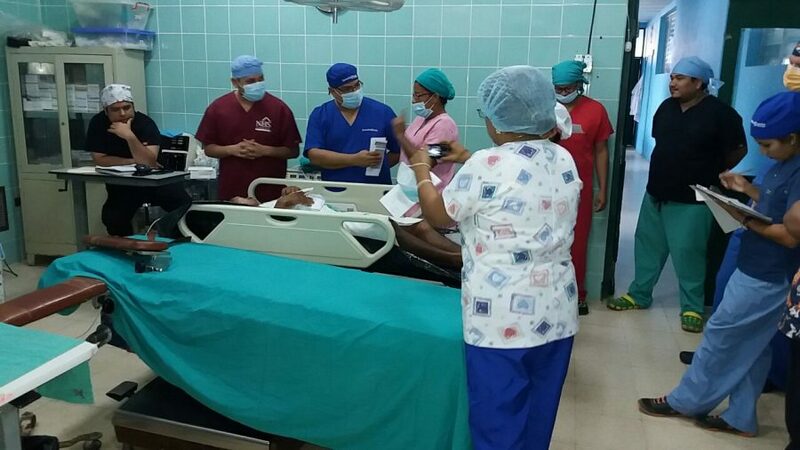 Both these modules are vital for improving surgical safety and will be invaluable resources for our partners in Central America and throughout the world. Our Train-the-Trainer workshops will be held throughout the region across 2019 and 2020, and will be for all members of the surgical team; surgeons, anaesthesia providers and nurses. By building capacity and knowledge regionally – and at the national level in all four countries – our project aims to improve the safety of millions of surgical patients receiving care across the region.